Kanzach is a small village north of the Federsee in Southern Germany, counting about 500 inhabitants. 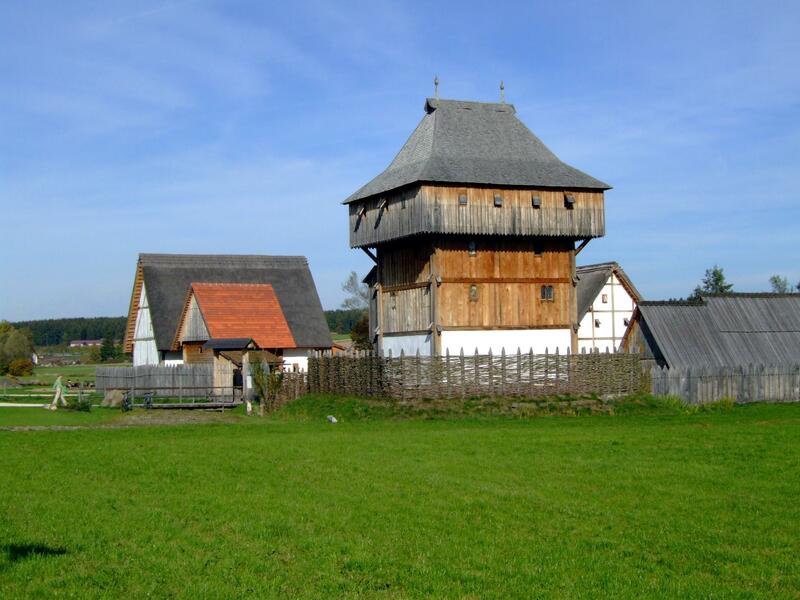 In the years 2000-2004, a LEADER+ EU project was taking place here, resulting in a tourist attraction at the country side: a reconstruction of a small stronghold of the lower nobility as it could have been in the 14th century. 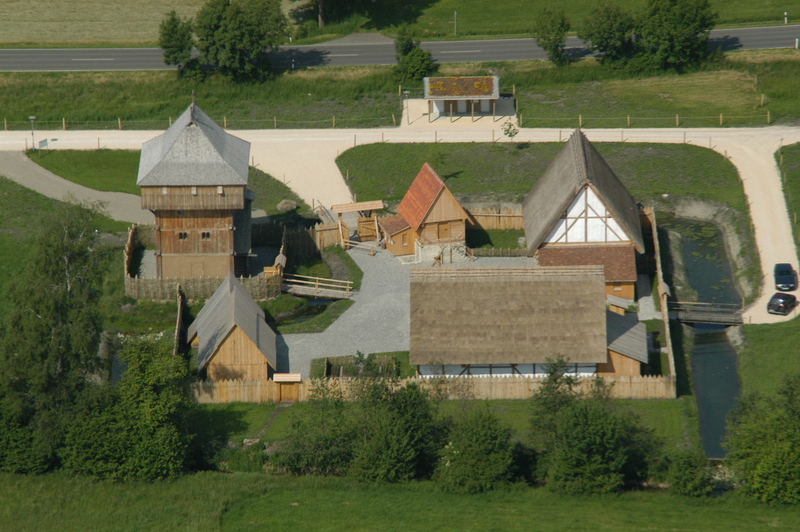 The village’s own original “Bachritterburg” has not been excavated, therefore, main sources came from the region. 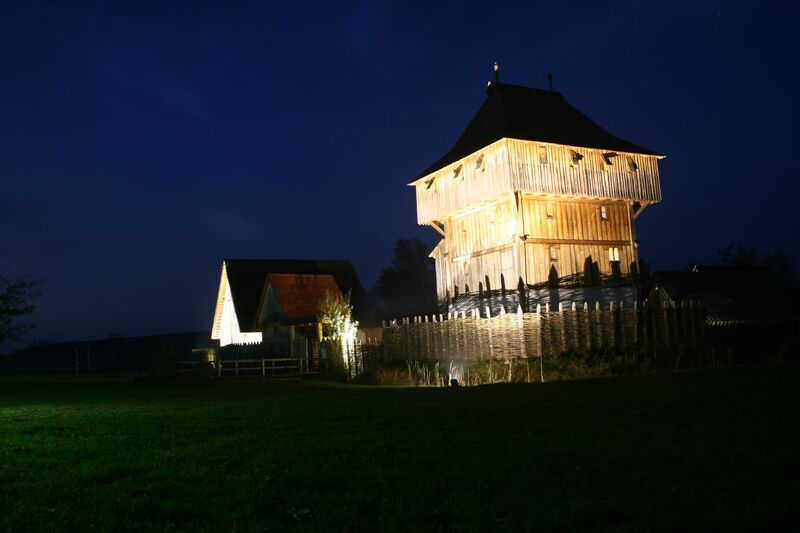 It has cost about 2 million Euro to build the wooden tower and adjacent buildings, but the museum has attracted many more visitors than planned. However, getting the finances for running the place is problematic. Already 2006, the 100,000th visitor was welcomed and by now, still about 25,000 – 30,000 people visit the place every year. Most of them are day trip tourists and no pupils. The Museum is in hands of the municipality, with at the steering wheel the mayor. 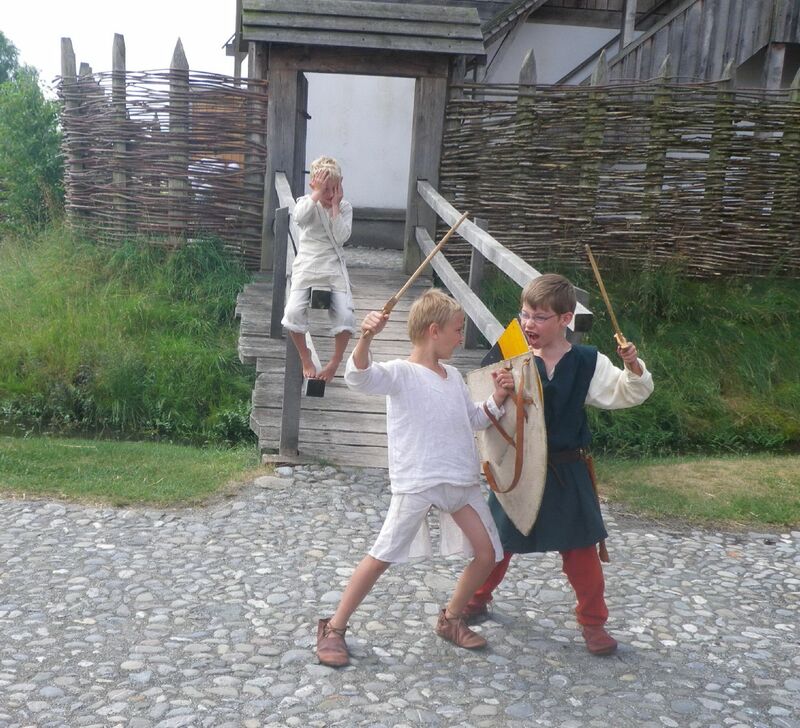 Cooperation is directly with the Federseemuseum (Neolithic & Bronze Age show case and archaeological open-air museum), but as well with the Heuneburg (Iron Age show case and archaeological open-air museum) and the Roman museum at Mengen-Ennetach (show case museum). 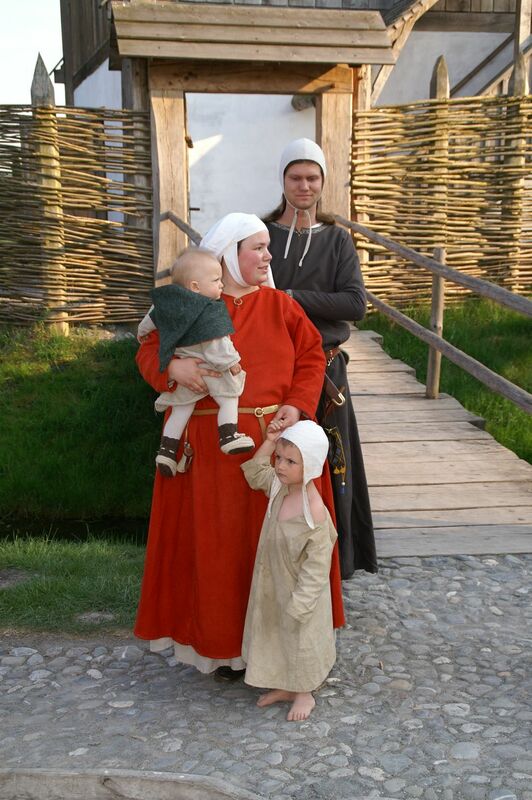 Of those four, Kanzach is the one with most emphasis on “experience” as they are focussing on living history and are lacking an indoor museum. The main qualities of Kanzach are the focus on one single moment / period in history, the early 14th century – a moment frozen in time – and the ample use of living history groups. For background information, there is a guide book, but for example no audio guides, signs or anything too modern inside the houses. The wooden stronghold, the square and the three houses form a beautiful scene. The houses are furnished, part of the artefacts are well reconstructed copies. Obviously, measures are taken to prevent theft. 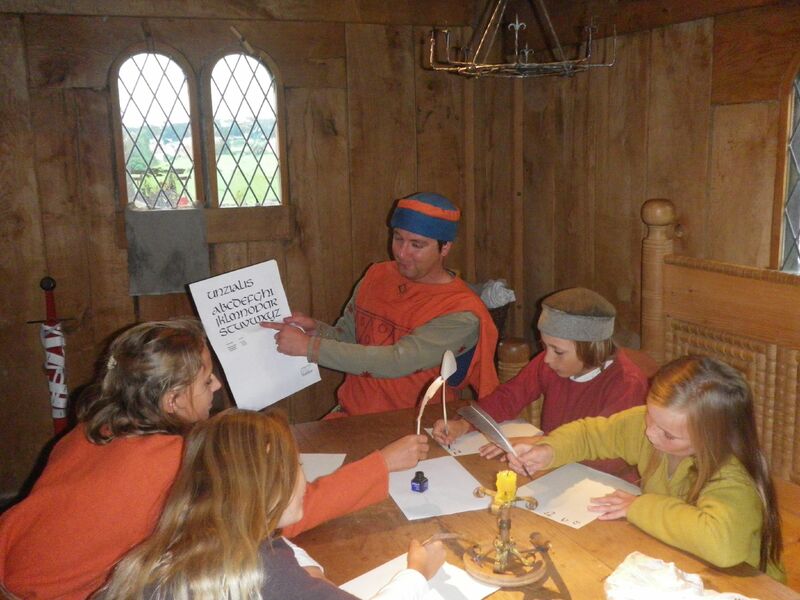 The fort itself has a functioning medieval kitchen with fire place, a ‘good’ room , two bedrooms and a large attic. The yard has typical gardens of that age with vegetables and fruit. The shed houses (in the season) some cows, there is a latrine, a muck heap, a smithy (site for education groups) and an exhibition of copies of 14th century agricultural tools. 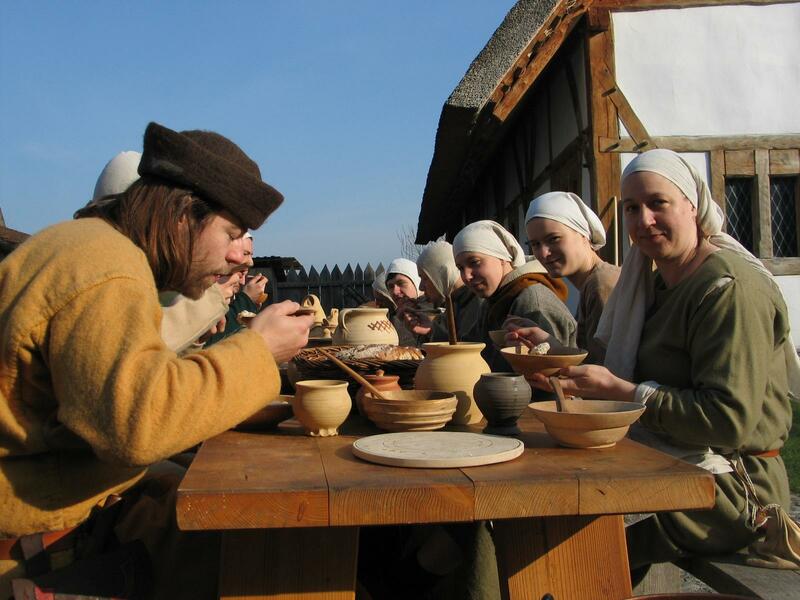 All tools and furniture are made to be used and therefore a weekend at Kanzach is a popular outing among living history groups. 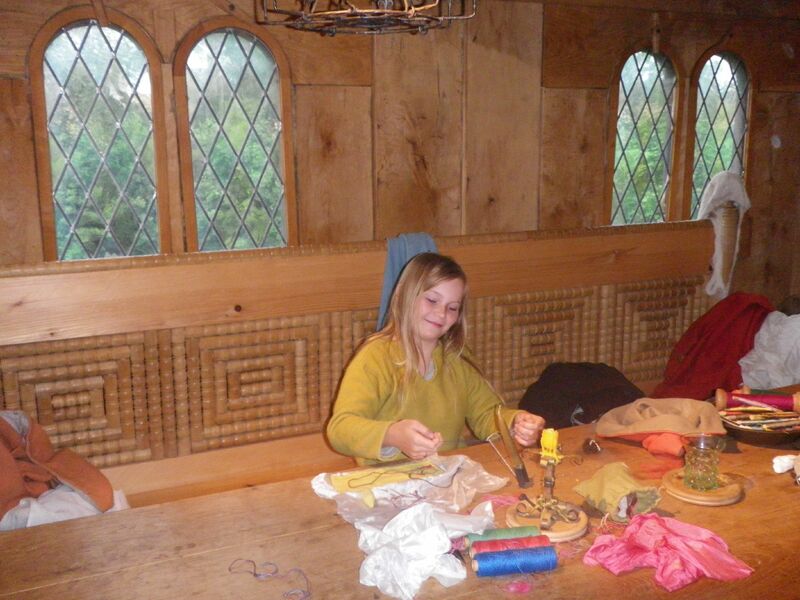 The living history concept is a great success as the place has little own volunteers to fill the museum in the season.